A superwoman of her own making. She didn't ask for help from others easily. Always trying to be everyone she could. Mother, best friend, sister, confidant, caretaker, cook, maid, wife, aunt, martyr, kin, shoulder to cry on, teacher, grandmother.... The list goes on and on. Some of my fondest 'teacher' memories from my grandmother come from in the kitchen. 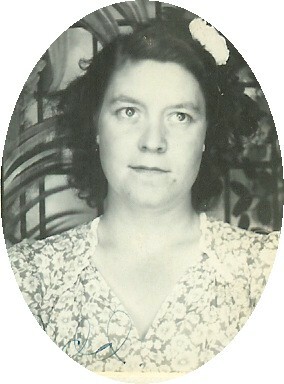 She taught me how to can vegetables and fruit, make homemade jam and watermellon pickles. I remember her caring. I learned how to bake from her as well. When I was only 12, she helped me make my grandpa's birthday cake from scratch. I remember her patience. I learned how to make some amazingly fluffy pancakes, melt-in-your-mouth fudge, apple pie to sink your teeth into, and scalloped potatoes to make you want more. I remember her loving care she took with everything she made in the kitchen, as if she was baking up pieces of her heart to serve and fill everyone up with her love.